Can't go wrong with Purple Guy. 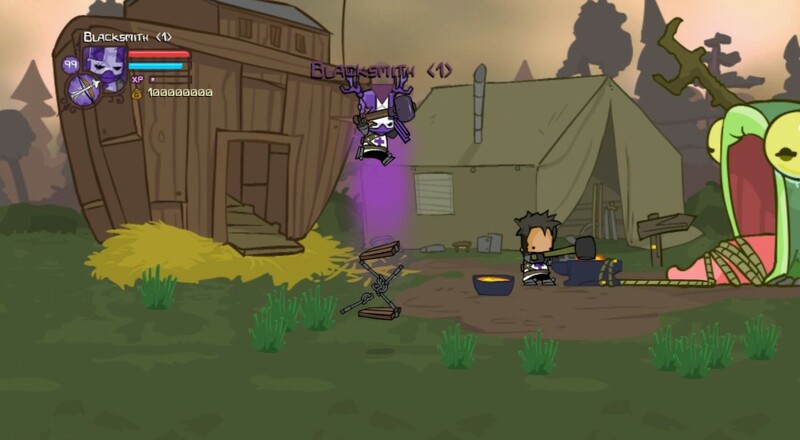 It might be time to jump back into the whimsical, absurd, and often vulgar world of Castle Crashers. Behemoth finally released the Legend of the Blacksmith and the Can't Stop Crying DLC packs in the North American regions on PSN for $1.99 each. Each pack gets buyers one character, new weapons, and those ever so adorable/gross animal companions. Blacksmith unlocks the valiant blacksmith, known as the purple knight, while Crying grants control over Hatty Hattington, the face of Battleblock Theater, who literally can't stop crying. Xbox 360 users who own both Castle Crashers and Battleblock Theater are given the Can't Stop Crying pack (and an achievement) for free, but that game isn't out on PSN. You'll have to fork over the two bucks if you want to hack and slash as a tophat adorned and chronically sobbing Hatty. Latin American players also have a reason to be excited for the announcement, as the DLC is coming to Argentina, Chile, and Brazil for the first time. Now our friends in South America can get their blacksmiths and pink knights on board for more beat'em'up action in case the original four warriors have lost their shine. Launching first as the crown jewel in Xbox 360's Summer of Arcade way back in 2008, Castle Crashers took two years to reach the PSN. With diverse gameplay, persistent characters, and a unique visual style, it's a welcome addition to any co-op library. 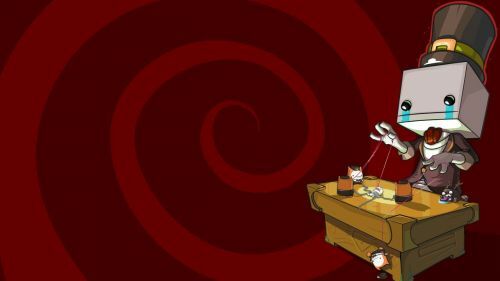 Castle Crashers Connections... erm, Crashing? Page created in 0.4005 seconds.